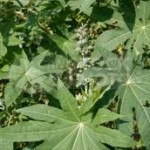 Castor (Ricinus communis L.) is cultivated around the world because of the commercial importance of its oil. 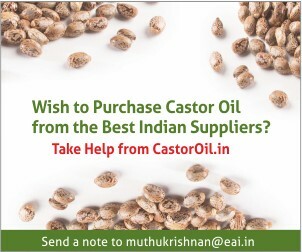 India is said to be the world’s largest producer of castor seed and meets most of the global demand for castor oil. Nigeria imports over N30 billion worth of castor oil every year despite having arable and fertile land, and climatic conditions suitable for its farming. It is crystal clear that only very few Nigerians are taking advantage of the present opportunities in the different agriculture value chains. Numerous opportunities abound in castor farming, as a potential farmer or investor can make up to N50 million on 10 hectares of land over a period of seven years due to its more than 1000 uses and over 80 health benefits. 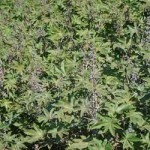 Following the launch of its research project on opportunities for the Castor bean; and consultations with castor growers and processors last year, The Jamaica Promotions Corporation (JAMPRO) is executing a long-term strategy for the development of the castor industry for exports and investments. The Agency will be hosting capacity building initiatives, business matchmaking opportunities, and has planned trade missions to assist local castor oil producers to enter international markets later this year. New cultivation technique boosts castor crop yield in Gujarat. 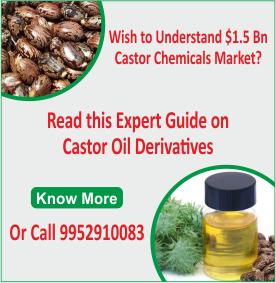 Gujarat based castor farmer has used organic fertilizers for castor crop cultivation and has reaped nearly six to eight tons of crop compared to four tons by others, with minimal amount being spent. He hopes that organic cultivation will help him reap atleast 20 quintals of castor seeds by the end of the season. Initially the farmer had experimented this technique with a variety of paddy and had success. Later he tried the technique with castor crop and cultivated Palem Hybrid Castor EI-111 variety after consultation with the scientists in that region and now he has succeeded. 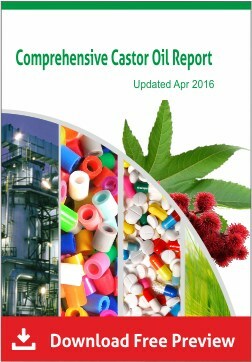 Agriculture department officials have predicted good price for the organically cultivated castor oil in the market. Government has allotted funds exclusively for vermicompost units to enable farmers cut costs and earn profits. 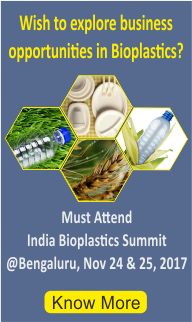 These have enabled more farmers to shift to natural farming. For proper tilth and good seed bed preparation, plough the land immediately after pre-monsoon showers followed by 2-3 harrowings with blade harrow after rains. However, they need not renew seed stock of their improved varieties every year. Using certified seed once obtained from authorised agencies/sources, interested farmers can easily meet their requirement of quality seeds and maintain the varieties for atleast 3-4 years without any appreciable deterioration. Seed may be treated with Thiram or Bavistin 3g/kg seed to protect from seed borne diseases like Alternaria leaf blight, seedling blight and wilt. For achieving required plant stands in dry lands, a seed rate of 10-15 kg/ha is adequate depending on seed size. 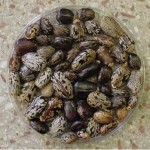 The optimum date of sowing for castor in Andhra Pradesh is first fortnight of June. Plough with single seed drill help in placement of seed at appropriate moist zone and ensures better germination and growth. As far as possible place the seed in a moist zone 10-12cm below the soil surface to ensure proper moist soil seed contact for sufficiently long period and thereby obtain good germination.